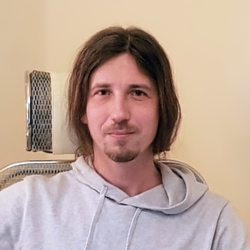 UAVOS Lead developer Aliaksei Stratsilatau. For more than 40 years, leading aircraft manufacturers have been working on the development of unmanned airplane-type aircraft capable of operating for a long time (from several days to several years) at altitudes of 60,000 - 100,000 feet (18,000-30,000 m). UAVOS also has such experience. Our team has been working on a project to create HAPS Apus for more than 5 years. During this time we managed to build more than 20 modifications of the aircraft and successfully tested 3 new aerodynamic schemes of the aircraft. The objective of our project is to create the best solar-powered aircraft, which will bring to life the idea of non-stop flights and will be able to fly for years. During this time, UAVOS team managed to master the methods of calculating “solar” aircrafts, propellers, aerodynamics, as well as UAV electrical systems. We have created a special Grand Control Unit (GCU) software with a user-friendly interface for managing HAPS during long missions. The flow of information from the aircraft (more than 5000 flight data units per second) is recorded, and all the necessary parameters are displayed in a form convenient for operators’ perception to be later used for mathematical modeling and design improvements. The major problems that we encountered in the process of creating HAPS. When designing this type of aircraft, weight perfection comes first. We had to design almost all components from a scratch, even fasteners. Almost the entire structure is made of spread tow carbon fabric; a propeller blade of our own design has been developed and manufactured, as well as an original propeller pitch changing mechanism. All components were tested in freezing and vacuum chambers. At present, the batteries we use do not allow us to be in the stratosphere all day long (we use batteries with energy density of 113 Wh/lb (260 Wh/kg), and we are confined to descend to heights with strong winds and 22,966 - 26,247 feet (7000-8000m) of civil aviation routes at night. Scheduling of flights in the constantly changing meteorological situation, reconciliation of air traffic, changing of echelons and the mission area require an intensive work of a whole group of specialists, as well as the cooperation of air traffic control services. In such conditions, we were confined to plan the flight path for several days ahead, and sometimes even weeks. What did UAVOS team manage to check, fix, or change during the testing? In the project Apus, we were able to confirm the possibility of scaling the aircraft, violating the law of increasing the mass (the square-cube law). The weight of our apparatus does not grow in a cube, but closer to a quadratic dependence on the span. This became possible due to the innovative aerodynamic layout of the aircraft and the control system. Our aircraft's wings are flexible, not having a massive spar, as well as stressed skin. Since the start of the project, all new ideas, control algorithms and components have been tested on scaled-down prototypes before being implemented on a full-scale aircrafts. Test flights were conducted in diverse weather conditions. Thus, we have accumulated statistics and fairly quickly introduced all the innovations in the aircraft at a stage of manufacturing. I’d like to expressly indicate, that in the process of test flights, we were surprised by the rather accurate correspondence of the actual weather conditions and weather conditions predicted by the mathematical weather model provided by weather sites. What other problems does UAVOS has yet to face? As of today, the use of HAPS of this type is associated with serious operational limitations. Aircrafts designed for high-altitude flights usually have very low true airspeed (TAS) near ground, which imposes wind restrictions for take-off and landing, as well as the barrage requirements in a given area during strong winds. Fortunately, the average wind at the altitudes above 42,651 feet (13,000m) is relatively weak, which makes it possible to carry out long missions in designated areas. Our scheme with the wing of ultra-high aspect ratio made it possible to make a compromise between airspeed and energy consumption due to high aerodynamic quality, which allowed expanding the applicability boundaries. The ratio of the weight of modern batteries to the design of the aircraft reaches 1:1; therefore, first of all, for the development of this technology, the key element is the batteries with a high volumetric efficiency. I think that nowadays none of the world's projects can perform long missions in the winter. However, this does not stop large corporations in the development of this direction of aviation, since it is obvious that with the advent of available batteries with a gravimetric energy density battery of 250 Wh/lb (550 Wh/kg), year-round HAPS flights at altitudes of more than 42,651 feet (13,000m), and in latitudes up to 10th will become a reality (several companies have announced market availability of such batteries in 2018). And with the advent of batteries with higher volumetric efficiency, film solar panels with greater efficiency and more sophisticated electronics, it will be possible to fly in latitudes above the 30th. With today's level of technology, HAPS can be used to make record flights around the globe or for meteorological research, allowing long-term monitoring of air masses, while being able to move about them. Here, by the way, is the difference between the HAPS of the airplane type and the probes of the aerostatic type. 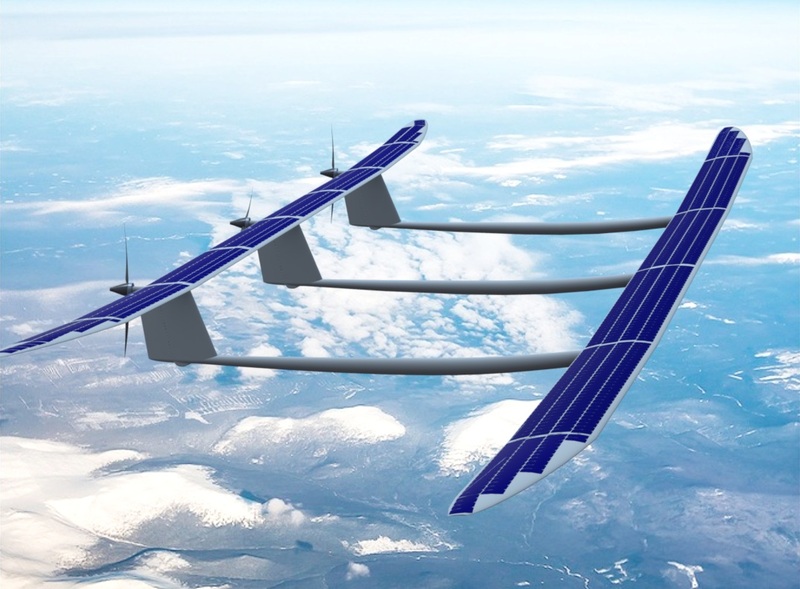 UAVs with solar batteries can replace disposable probes, since the flight profile of a solar HAPS assumes significant height gain at noon (up to 100,000 feet (30,000m). Using them as transmission repeaters is also possible today, but with the listed limitations.